Every group of girls has these kinds of friends in it. Some are shy, while others just can’t stop talking. Some like to stay at home, while others live to party. 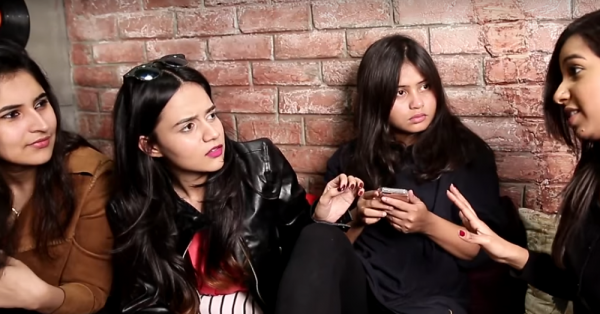 Watch this hilarious video to see the kind of friend you are! She thrives on social media, and stalks everybody left, right, center. She then makes it a point to tell her friends about some juicy gossip she just discovered. From the guys who keep cheating her to the nails that keep getting chipped - she’s the one for whom all things go wrong!! Also read: 19 Things Only Girls Who Cry Easily Will Get! She lives to party, and spends most of her living hours trying to convince her friends to come party with her. Her answer to all of life’s celebration and troubles is - party. This one gives zero f*cks about what the world thinks of her. She does what she wants to do, and just does not care. Also read: 9 Times Us Girls Feel Really Lucky To Be… Girls! !